Q:What is your quality gurantee peroid9 A:9-12 months for normal promotional items. Q:Where is your main market9 World wide, where there is demand, there is our market. Q:What are your terms of payment9 A: Payment terms:30% deposit and the balance paid before delivery. We ship within 3 working days after getting full payment. Be able to ship as customer's requirement . We accept T/T, Western Union , Moneygram as payment method. 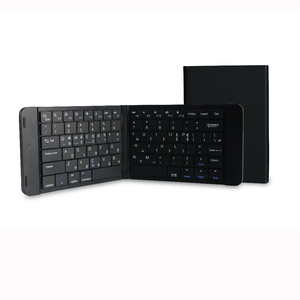 1 YRS Dongguan Kangmao Electronics Co., Ltd.
2017 Hot Backlight i8 2.4GHz Wireless Keyboard Air Mouse Touchpad Handheld with Battery for Android TV BOX Smart tv Specification: Frenquency range:2.403GHZ~2.480GHZ Operational voltage:3.3V Charge Voltage:4.4V~5.25V Modulation:GFSK Channel:78 channels TX Power : less than 5dBm Transmission rate:1M bit/sec Frequency tolerance:/-30ppm Power consumption:55mA(on),1mA(sleep) Color:white/ black Battery type:build-in lithium-ion battery Backlit support: press"FN"+"F6" Shell material: plastic Dimension: 146.8*97.5*19mm Touch pad: 48x Feature 1.2. 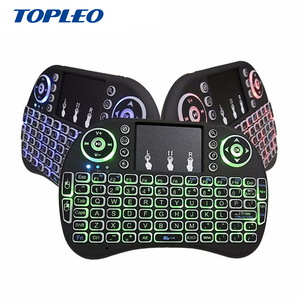 4GHz wireless keyboard with touchpad 2.Touchpad DPI adjustable functions 3.Built-in high sensitive smart smart touchpad with 360-degree flip design 4.Mini QWERTY keypad with multimedia control keys and pc gaming control keys. 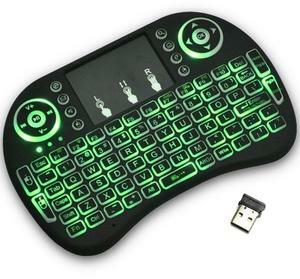 Pictures: Packaging & Shipping 2017 Hot Backlight i8 2.4GHz Wireless Keyboard Air Mouse Touchpad Handheld with Battery for Android TV BOX Smart tv package included: 1x Wireless keyboard 1x Wireless receiver 1x Charging data cable 1x User manual 1x battery Shipping: in 3 days after receiving your payment Payment: For 2017 Hot Backlight i8 2.4GHz Wireless Keyboard Air Mouse Touchpad Handheld with Battery for Android TV BOX Smart tv If you have any questions , pls contact us. Thank you. 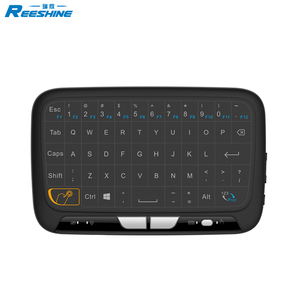 4 YRS Shenzhen Belink Technology Co., Ltd.
Alibaba.com offers 6,712 keyboard touchpad products. About 57% of these are keyboards, 5% are keypads & keyboards. 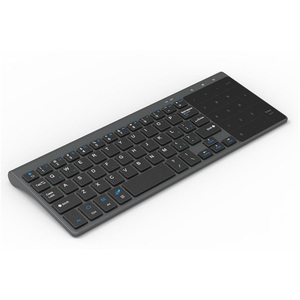 A wide variety of keyboard touchpad options are available to you, such as multimedia, slim, and standard. 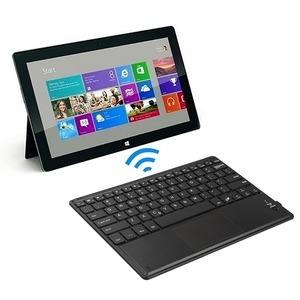 You can also choose from 2.4ghz wireless, wired, and bluetooth wireless. As well as from usb, ps/2, and bluetooth. And whether keyboard touchpad is laptop, or desktop. There are 6,712 keyboard touchpad suppliers, mainly located in Asia. The top supplying country is China (Mainland), which supply 100% of keyboard touchpad respectively. Keyboard touchpad products are most popular in North America, Western Europe, and South America. You can ensure product safety by selecting from certified suppliers, including 1,136 with ISO9001, 320 with Other, and 289 with BSCI certification.